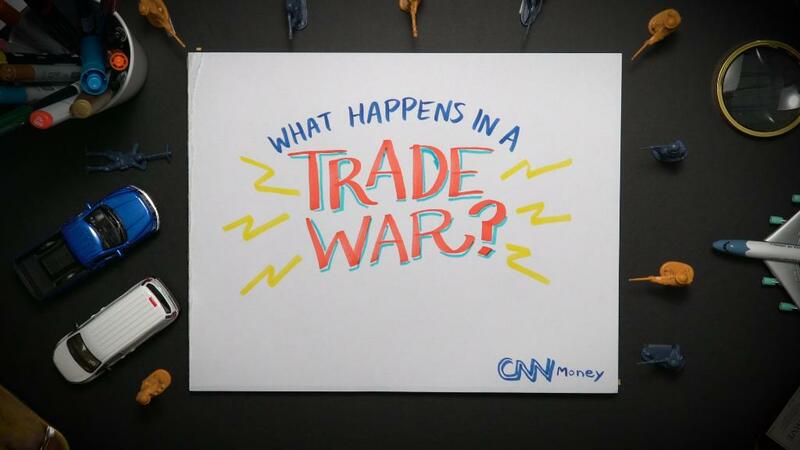 Are US and EU heading for a trade war? The United States could soon be in open conflict with two key trading partners: The European Union and China. EU trade commissioner Cecilia Malmström met US Commerce Secretary Wilbur Ross on Wednesday in a bid to avoid US tariffs on steel and aluminum imports that are scheduled to take effect on Friday. But there appears to be little hope of an agreement. The trading relationship between the two sides is worth more than $1 trillion annually. The EU exports significantly more goods to the US than the other way around, though their trade in services is fairly even. -- Alice McCool and Chris Liakos contributed reporting. Correction: An earlier version of this story incorrectly stated that US Trade Representative Robert Lighthizer would attend the meeting with Malmström and Ross.